It always gets ugly when there’s money involved. Just days before Google’s next flagship smartphone launch, Google and Verizon are locked in a public battle over mobile payments, with both companies vying for a foothold in the fledgling mobile e-commerce arena. The issue in question: Whether Google’s e-commerce app — dubbed Google Wallet — should appear on the Samsung Galaxy Nexus, the biggest Android smartphone launch of 2011. Google says Verizon doesn’t want Wallet on the phone. “Verizon asked us not to include this functionality in the product,” a Google spokesman told Wired in an e-mail late Monday evening. Unfortunately for Google, it doesn’t have much time to negotiate, as rumor says the phone is set to debut in the United States this Friday, Dec. 9, on Verizon’s 4G LTE network. One of the phone’s marquee features is its NFC (near-field communication) technology, which allows the phone to communicate with other NFC-enabled devices and terminals. In theory, NFC could allow you to pay for coffee at a nearby Peet’s, or swap information between two NFC-capable phones. Google Wallet, then, is Google’s e-commerce app that takes advantage of NFC technology, allowing users to buy small retail items with a simple wave of their phones. Verizon’s anti-Wallet stance is a big problem for Google, as Google needs as many devices running Wallet as it can get. 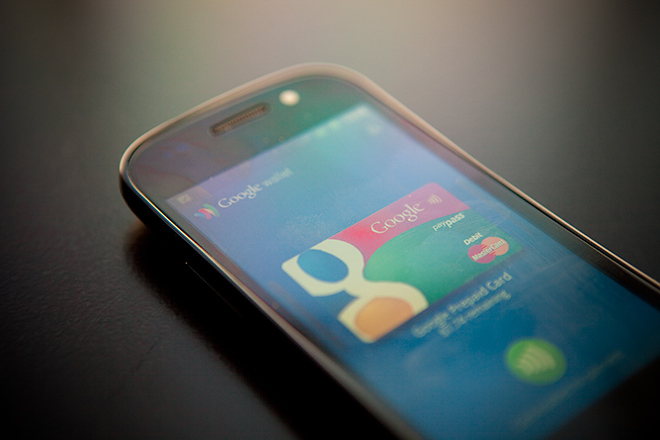 As of today, only the Sprint-carried Nexus S 4G is capable of using the Google Wallet app. This means that out of the 200-plus devices running the Android operating system, only one can run Wallet. In its effort to push Wallet to mainstream consumers, Google already faces significant barriers — infrastructure installation, retail employee training, weak consumer awareness — so this latest diss from Verizon only makes its job harder. So why would Verizon want to keep Wallet off of its phones? Google Wallet does not simply access the operating system and basic hardware of our phones like thousands of other applications. Instead, in order to work as architected by Google, Google Wallet needs to be integrated into a new, secure and proprietary hardware element in our phones. Verizon’s statements are true. Part of what makes Google Wallet a safe payments app is its integration with so-called “secure element” hardware, essentially a chip that houses your credit card credentials on the phone itself. Verizon already has skin in the mobile payments game, so it may indeed be acting to slow Wallet’s adoption on a second handset. Last year, three out of the four major telcos in the U.S. — Verizon, AT&T and T-Mobile — came together to form Isis, a carrier-backed version of a digital wallet just like Google’s. Currently, Sprint is the only major carrier to eschew Isis support — just like it’s the only carrier to offer a phone with Google Wallet. Naturally, if carriers decide to prop up Isis by knocking down Google Wallet, it’s feasible that Wallet will also be barred in upcoming phones carried by AT&T and T-Mobile. An Isis spokesman declined to comment, referring Wired.com to Verizon’s previous statement. Isis lacks a number of features Google Wallet offers — not the least of which includes an actual released product. Wallet has been on the market for months now, and launched with the support of Mastercard and a significant number of retail partners. Google is also working with Visa, AmEx and others to bring more card support to the app. Further, Google Wallet works in conjunction with Google Offers, the company’s Groupon-like daily deals program. Conversely, Isis hasn’t launched, and has yet to gain the support of any major credit card companies. But the carriers have something that Google doesn’t have: Millions of credit card-backed customer accounts. With an initiative like Isis, mobile customers could ostensibly funnel their mobile wallet purchases to their monthly phone bills. That means no new credit card numbers to register, and no significant barriers to entry. It’s a fast track into mobile e-commerce. But blocking Wallet in an effort to prop up Isis may also be short-sighted. Regardless of how this plays out, it’s an annoying sticking point for Google’s mobile payments app. Google has made it more than clear that NFC-based economics is the way of the future, and the company will continue to push handset manufacturers into creating devices with NFC chips inside.